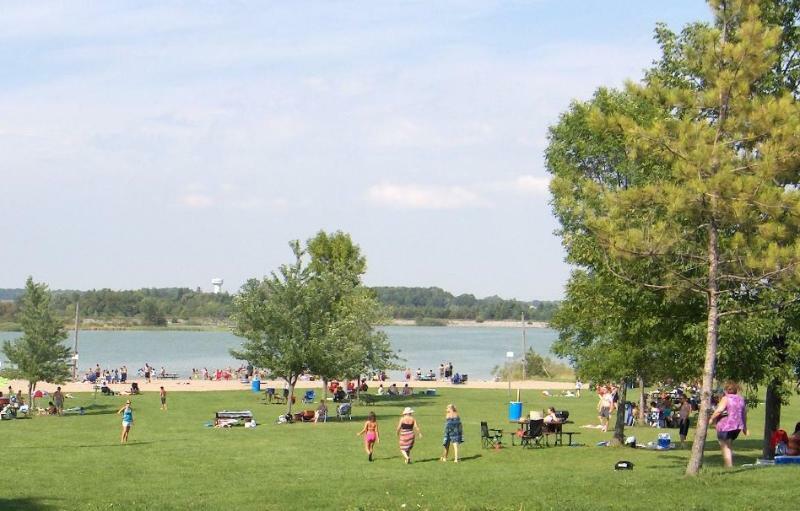 Conveniently located just 20 minutes south of Hamilton, the FunSplash Sports Park is just one of the many fun things for the whole family to do at the Binbrook Conservation Area. With all its natural beauty and tranquility, plan to enjoy a day away from the hustle and bustle without having to travel far. Home to the Lake Niapenco reservoir, the largest inland lake in the Niagara Region Watershed, there is so much to see and do. 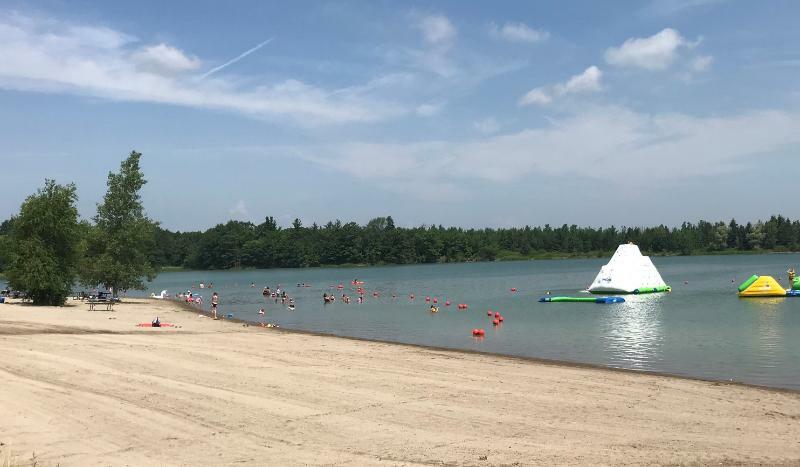 Either on land or in the water, the whole family is will find fun activities at the Binbrook Conservation Area—cottage country, offering an exciting staycation close to home. Come to enjoy the large swimming beach, children’s splash pad, picnic facilities, nature trails for hiking, observation platforms and a play area. 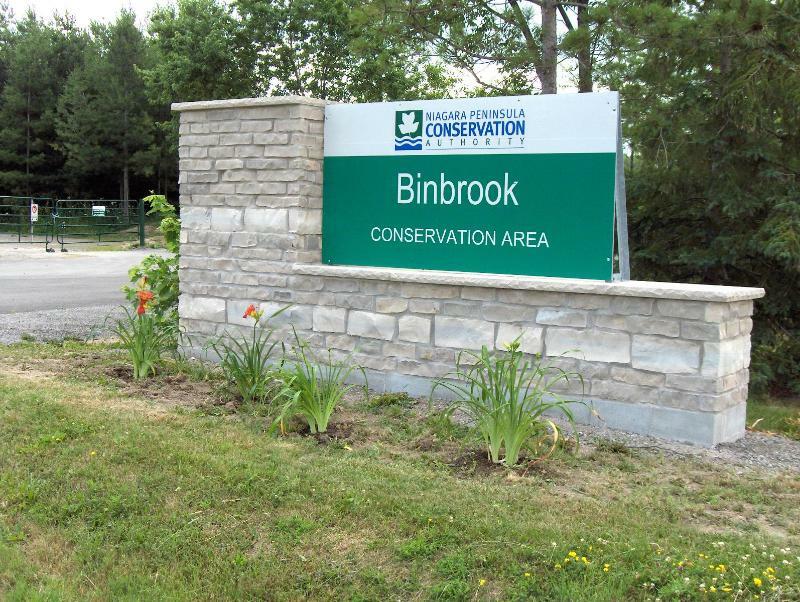 Bring or rent a rowboat, paddle boat or canoe, and experience scenic Binbrook from the water. Canoe along the tranquil shores of one of the few inland lakes located within the Niagara Peninsula Conservation Authority’s watershed. And best of all, splash, climb, jump, swing, bounce, crawl, hang, slide, and fall from the FunSplash – one of the largest inflatable water parks in Canada!